Fig. 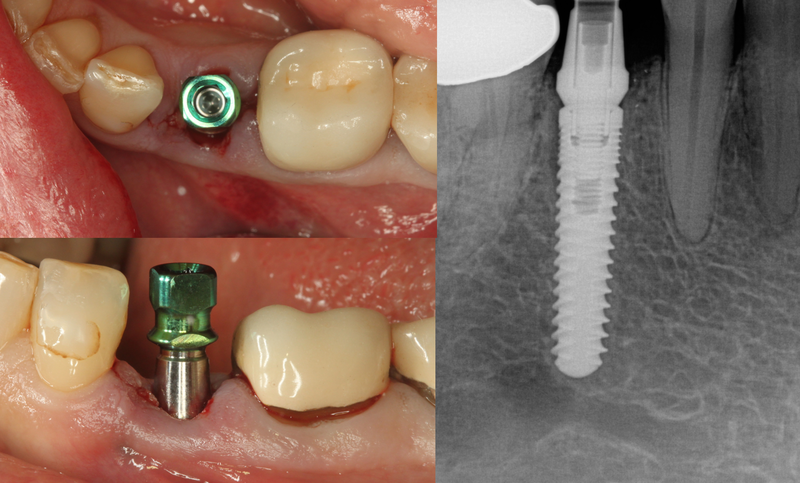 4: The implant was placed in the proper position with great stability (more than 35 Ncm of torque). Due to the fact that we had less than 2mm of a gap on the buccal and lingual we did not need to place graft or utilize a membrane.